While the Raw Women’s Championship feud has been a highlight of WWE Programming in the past few months, the same cannot be said about it’s counterpart. The SmackDown Women’s Championship held by Asuka hasn’t really been featured much on WWE TV and latest reports reveal that there is no solid plan for the title for the upcoming WrestleMania 35 event either. 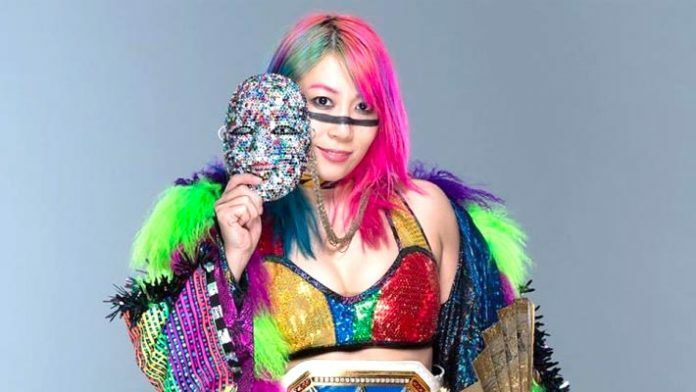 According to reports from Wrestling Observer Newsletter, no solid plan has been laid out for the title so far and who Asuka will be facing at the show is not known. We noted before how at one point the company was considering Lacey Evans vs. Asuka for the show, those plans, however, have been nixed since then. Though the officials are still high on Evans and she is expected to have her first feud on the Red Branded Show instead, where she will be going up against Natalya. Based on the current direction as seen on WWE programming, speculation is that Asuka could face Mandy Rose and Sonya Deville in a triple threat match at the upcoming show. Though it’s always possible that Naomi gets involved in this feud as well and the championship bout becomes a multi-person match with even more competitors trying to take the belt away from the Japanese star.